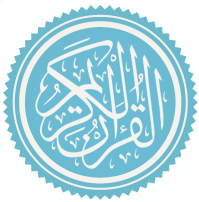 Sūrat al-Insān (Arabic: سورة الإنسان‎, “Human”, “Man”) or Sūrat ad-Dahr (سورة الدهر) is the 76th chapter (sura) of the Quran with 31 verses (ayat). According to most scholars of the Islamic tradition, the chapter is a Medinan surah, i.e. it was revealed during the Medinan phase of Muhammad's prophethood. Some commentators say that verse 24 was an exception and was revealed in Mecca, and others say that verses 23–31 were revealed in Mecca. Yet others, a minority, say that the entire chapter was revealed in Mecca, thus classifying it as a Meccan surah. Most Shia sources and some Sunni ones linked the revelation of the verses 5–22—which discuss "the pious" (al-abrar) and the rewards that await them—to an experience of the family of Ali (Muhammad's son-in-law) and his wife Fatimah. According to this account, the family fasted for three days to fulfill a vow they had made. In each evening, when the family was about to break their fast, a needy person knocked on their door asking for food. The family gave food to each of them. The family had so little food that this charity meant that they had no food left and had only water for the evening. On the fourth day, Muhammad met with the family and saw them in dire hunger. According to the account, at this point Gabriel revealed the verses and congratulated Muhammad for having such a family. This account appears in several Quranic exegesis (tafsir), including Al-Qurtubi's Tafsir, Shaykh Tabarsi's Majma' al-Bayan and Mahmud al-Alusi's Ruh al-Ma'ani. A hadith narrated by Abu Huraira said that Muhammad used to recite Al-Insan together with Al-Sajdah (chapter 32 of the Quran) for the early morning prayer (fajr) every Friday. This report also appears in Tafsir ibn Kathir. The chapter is named after Al-Insan ("the man"), a word that appears in the first verse. Other common names for the chapter include Hal Ata, "Has There Not Come", after the first two words in the first verse; Al-Dahr, "Endless Time", a word that also appears in the first verse; and Al-Abrar, pl. for "The Pious", after the description of the pious and their rewards in verses 5–22. ^ a b c The Study Quran, p. 1451. ^ The Study Quran, p. 1453 commentary. ^ The Study Quran, pp. 1450–1451. ^ Translation of Sahih Bukhari, Volume 2, Book 13, Friday Prayer, Hadith Number 16. Seyyed Hossein Nasr; Caner K. Dagli; Maria Massi Dakake; Joseph E.B. Lumbard; Mohammed Rustom, eds. (2015). The Study Quran: A New Translation and Commentary. New York, NY: HarperCollins. ISBN 978-0-06-112586-7. This page was last edited on 30 December 2018, at 05:20 (UTC).